We’ve written before on how GPS tracking helps police catch criminals. And while there have yet to be many earth-shattering evolutions with location tracking technology in recent years, it’s clear that more fields are recognizing its potential and putting it to use, as these four recent cases demonstrate. The county had had a recent string of mail and package thefts, so the resident stuck a GPS tracker inside a fake parcel and left it out as bait. As it turned out, the idea proved fruitful, and soon afterward the resident was alerted to the device moving out of its location in their front yard. They called emergency services, who then got in touch with local law enforcement and set up a relay. The asset tracking software meant that dispatch was continually updated on the package’s position and direction of movement, allowing them to pull over a suspicious vehicle as it headed for Klamath Falls. Sure enough, deputies found the couple inside with the bundle, along with other mail from nearby counties. As it turned out, the same pair had been charged and suspected in several other similar crimes over the previous months, from identity theft and credit card fraud to forgery and drug possession. 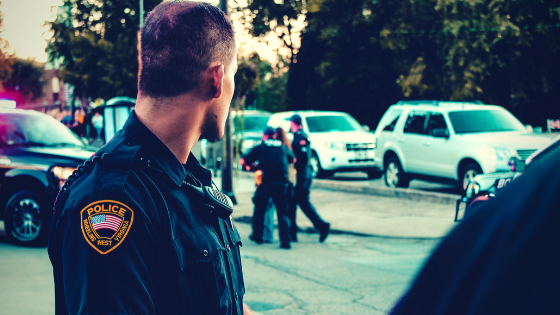 One citizen’s spur-of-the-moment decision to employ an asset tracking solution helped police officers find and put a stop to an ongoing crime spree that had been plaguing the community for weeks. A few weeks earlier, in Frederick County, Maryland, a court ruled that an accused burglar did not have the legal right to challenge the Washington County police force’s use of a GPS locator that they had placed in his car. The case stands like this: police had put the GPS device into the man’s 2005 Nissan Armada — which they suspect he had stolen — on a night in early March. The following day, they arrested him after the vehicle was tracked to another resident’s home, one they believed that he had broken into. The suspect argued that he had been given use of the Armada by another, now deceased man who did not own it, but had failed to tell him. Because he did not know that the car had been stolen, then, it was not legal for the police to use their GPS tracking systems to locate the vehicle without first obtaining a search warrant. However, based on testimony from the actual owner and another detective, along with photographic evidence that put the Armada as being stolen some time prior, including being spotted at two different burglaries in subsequent months, the judge ruled that the man did not have a “reasonable expectation of privacy,” whether he knew it had been stolen or not. Furthermore, the police had been given consent by the vehicle owner to place the GPS tracker and had followed it to another house where the suspect was seen coming out carrying a handgun. The man was subsequently sentenced to trial, and a series of robberies was stopped. Now, we move on to more general stories that suggest new trends in law enforcement. The first is something a bit different from what we’ve seen before. The Maricopa Police Department in Arizona has begun using a GPS-based system called “Starchase” to decrease the necessity — and consequent dangers — of high-speed pursuits while tracking suspects on the move. The technology launches a projectile from a case on the front of the police car that attaches itself to the suspect’s bumper, emitting a signal that the officers can then track as you would with any number of locating apps on your iPhone. With the offending vehicle now “on the map,” police can pull back from the situation and follow at a more reasonable pace, limiting the chances of collision with others on the road while more easily keeping their targets in sight. There are limitations to the technology. For example, officers must be no more than 20 feet from the target vehicle and directly behind it for it to catch. Plus, the technology is bulky enough that the other driver will likely be able to feel and hear it land, meaning that they may know to try to remove it. However, the department claims that research shows that, when the GPS tracking devices are deployed, half of the fleeing drivers it worked on immediately pulled over; a statistic they hope to see replicated once the program is officially launched. And for those who don’t, the location tracking should allow police to better decide on a strategy for stopping the suspects in a more timely, safer manner. Officers are expected to be trained on how to use the new technology before it’s ready to be properly deployed at some point this year. In our final segment, we return to a similar idea mentioned in the first — GPS asset tracking as a solution to mail theft — but on a larger scale. With the steady rise in popularity of online shopping and the inevitable burst of spending that comes during the holidays, the theft of dropped-off package deliveries has become a particularly significant inventory management problem in recent years. To combat this, Jersey City, New Jersey implemented a partnership between the local police force and Amazon to catch the thieves, planting GPS tracking devices inside decoy boxes gussied up to look like official shipments. These decoys are set to automatically trigger an alert to local police once they are moved from their resting position, allowing law enforcement to either catch the thief in the act or track the pilfered goods to wherever they intended to resell them. As city mayor Steven Fulop revealed, the real-time asset tracking program proved its worth almost immediately, highlighting just how much of an issue this brand of crime has become. Within the first three days alone, officers made a dozen arrests, the first of which occurred within minutes of the initial decoys being set up. Fulup admits that this solution is only a temporary one that’s only viable during the holiday boom. That’s because local police can’t commit an entire team to track these burglaries year-round, especially when they get upwards of 400 similar complaints annually. And those 400 likely represent a fraction of the people who are being targeted since many don’t bother with calling law enforcement and get in touch with the seller directly instead. It’s a step forward in the right direction, however, and could help deter potential takers in the future. While GPS tracking, like any modern technology, has plenty of potential to be abused and misused, it’s difficult to deny that the same types of fleet and asset tracking solutions that help businesses also show a lot of promise in effectively helping law enforcement better protect themselves and their communities. Somebody has to test it all out to see what sticks, after all, so why not us? The bumps and trials of today could save lives and livelihood in the future.